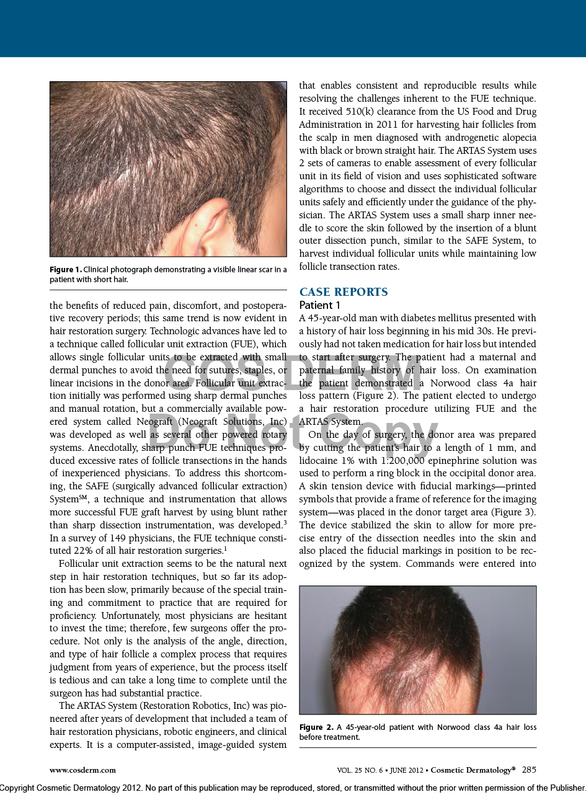 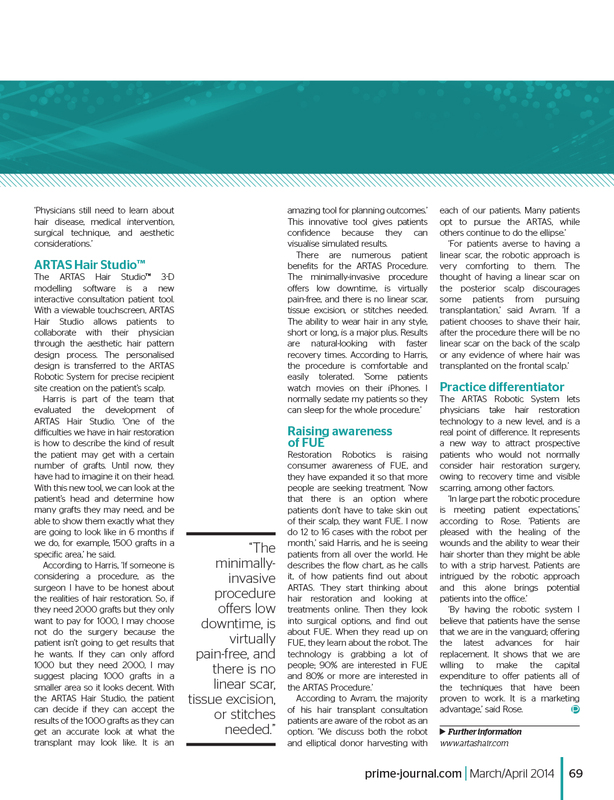 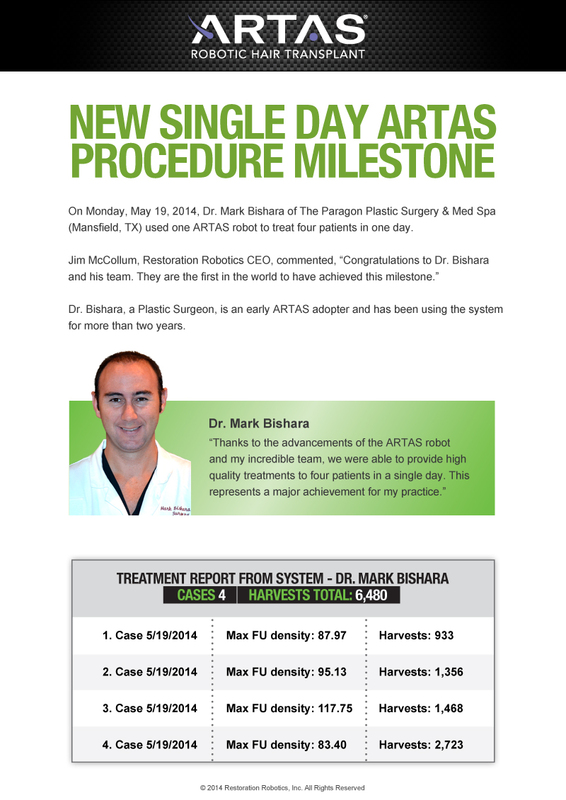 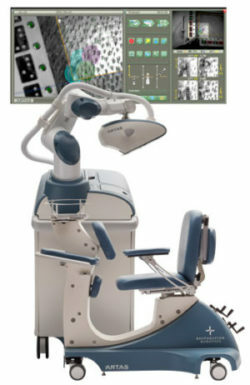 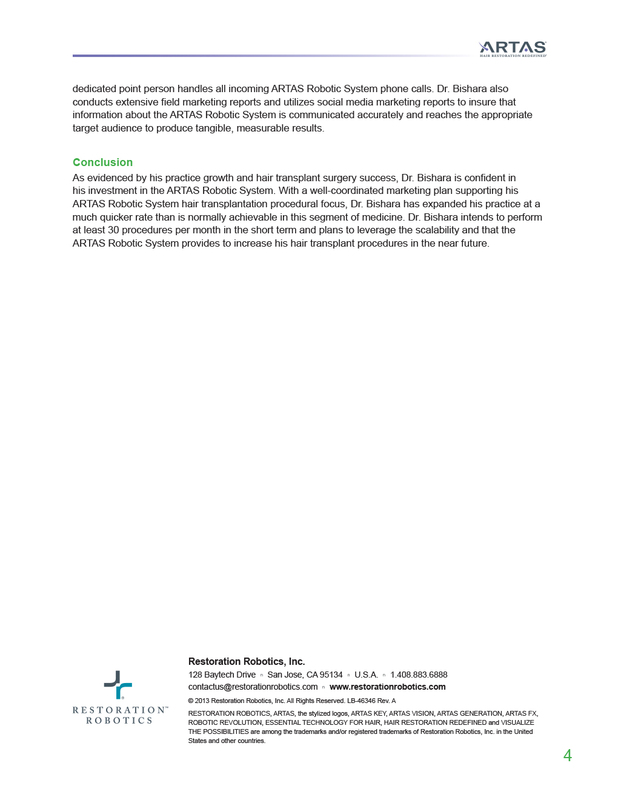 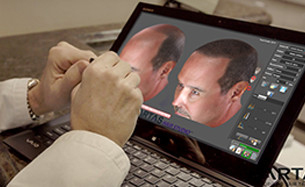 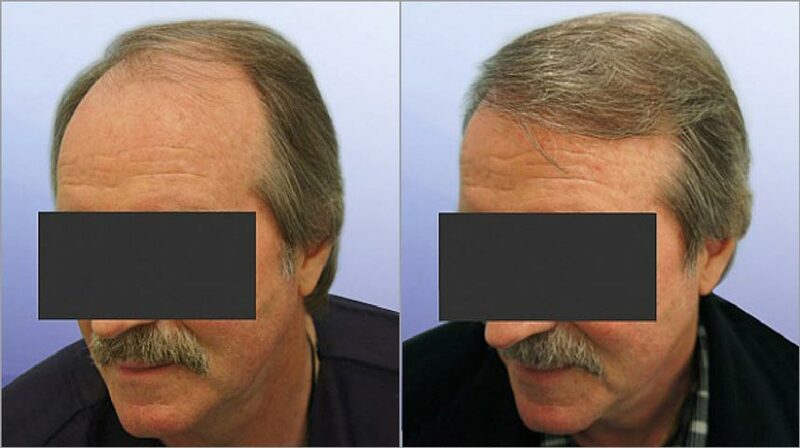 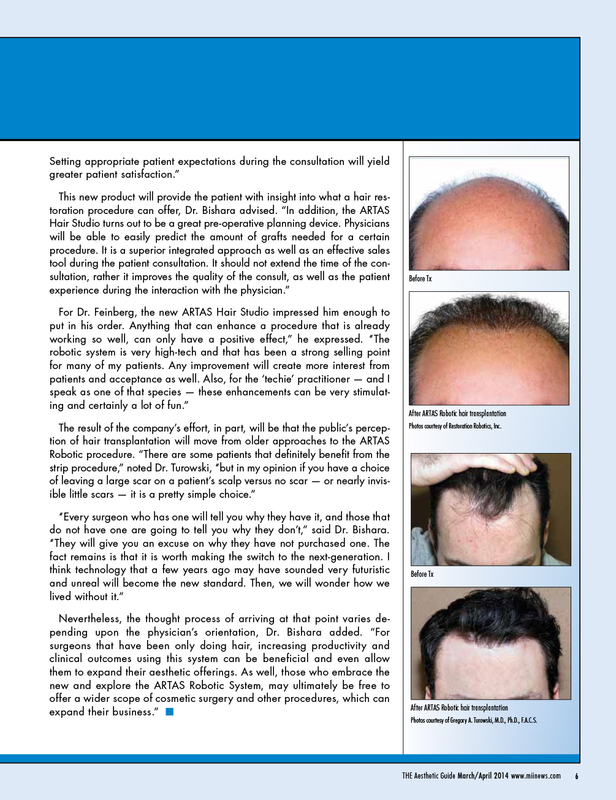 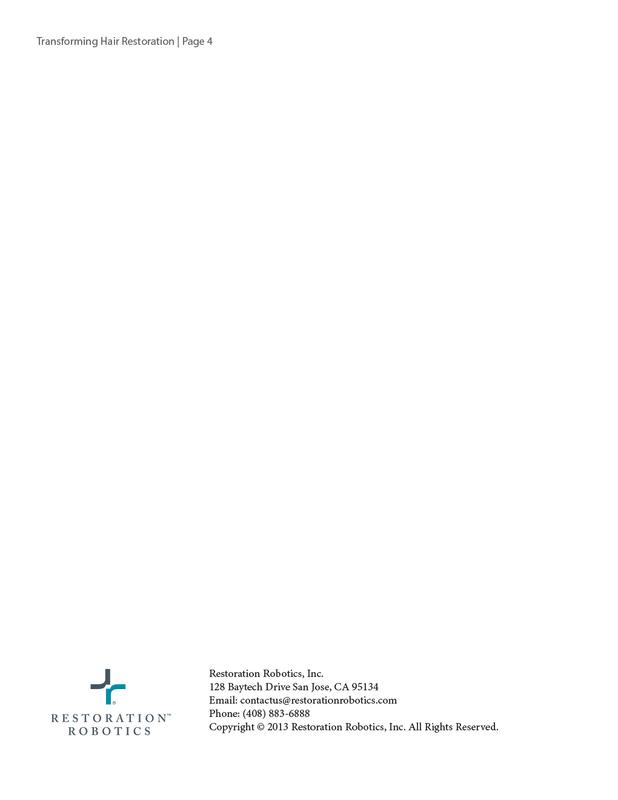 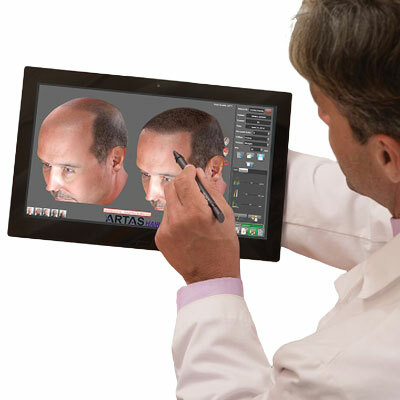 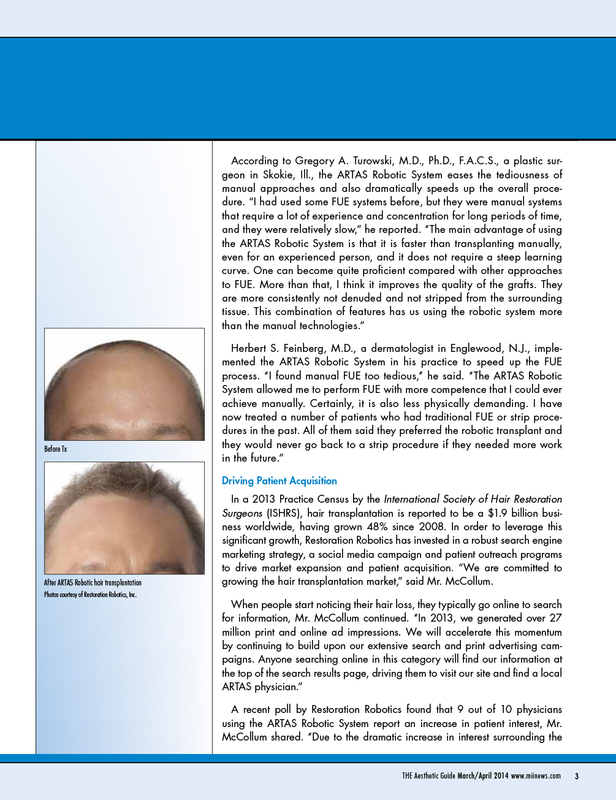 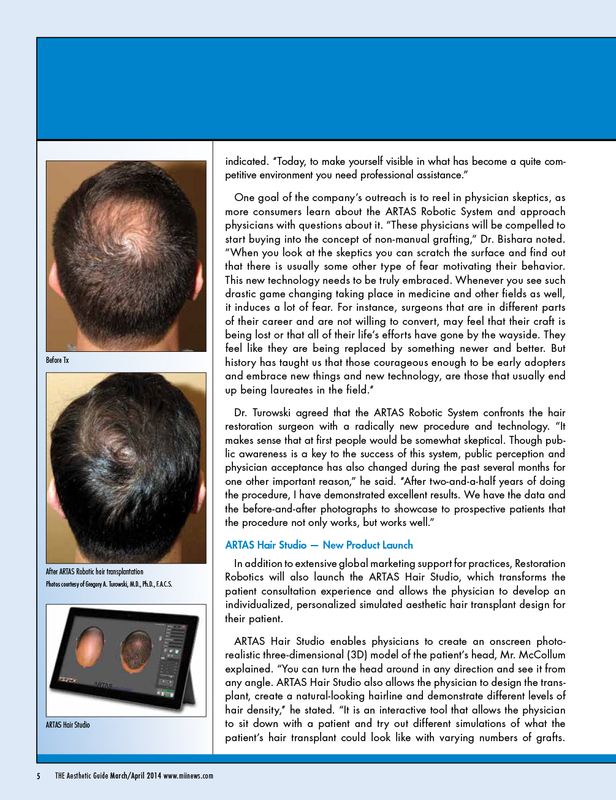 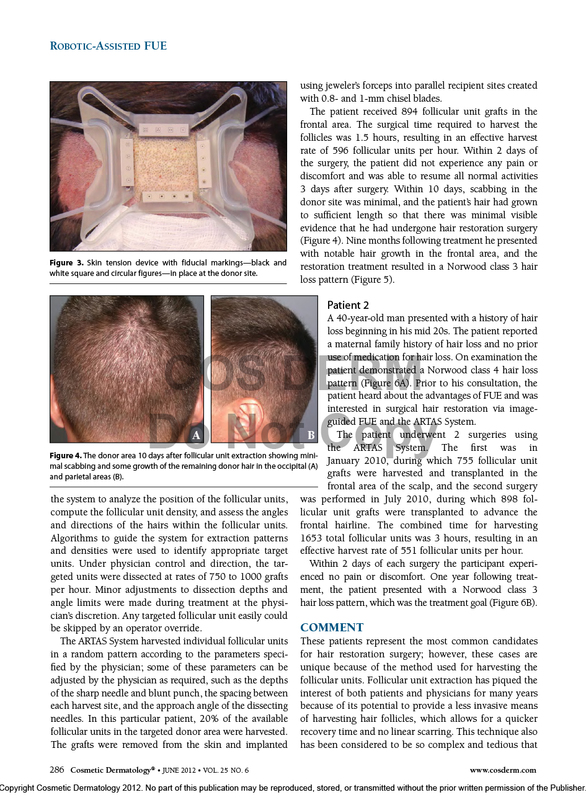 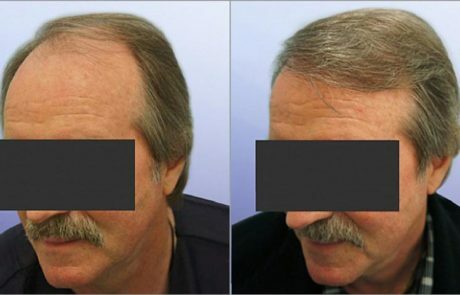 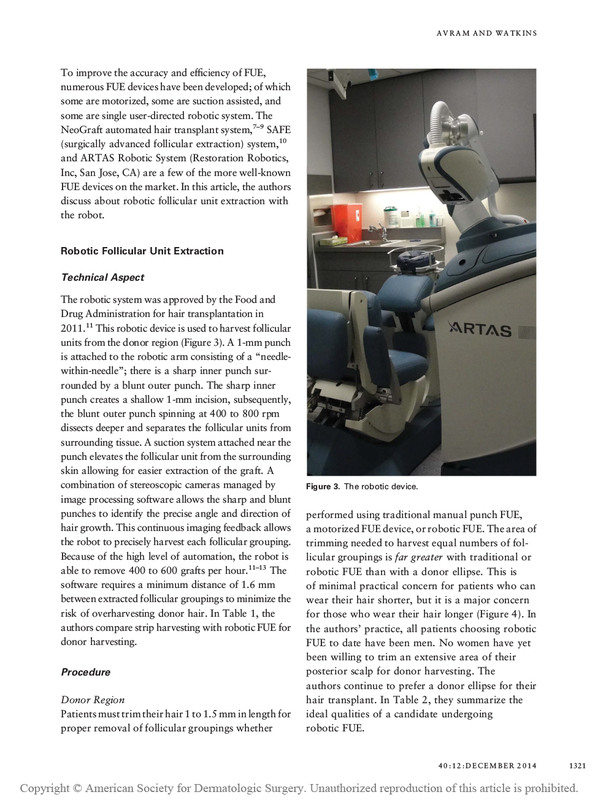 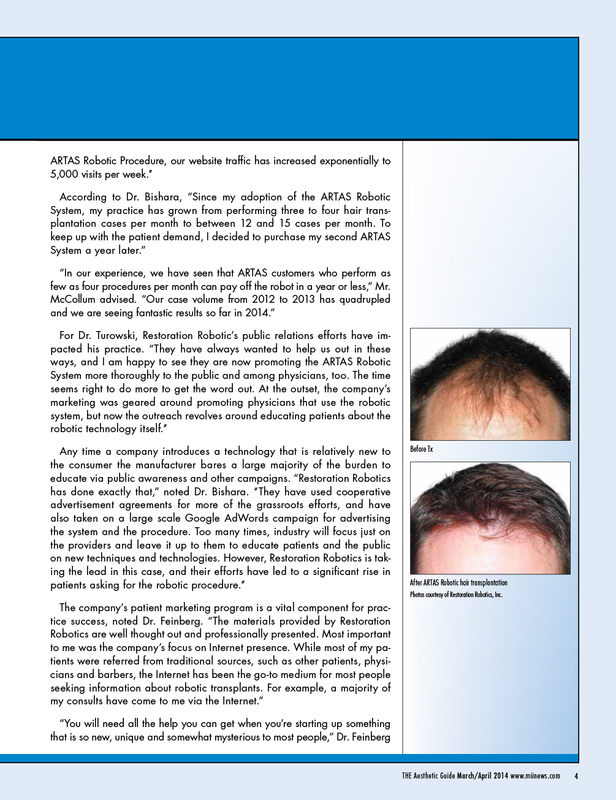 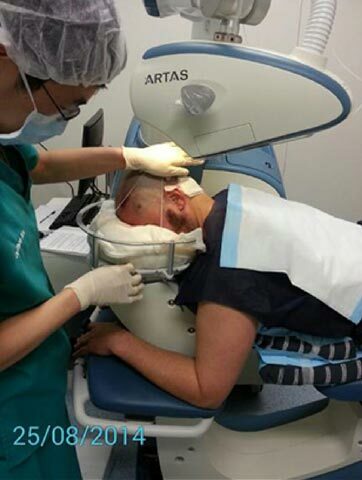 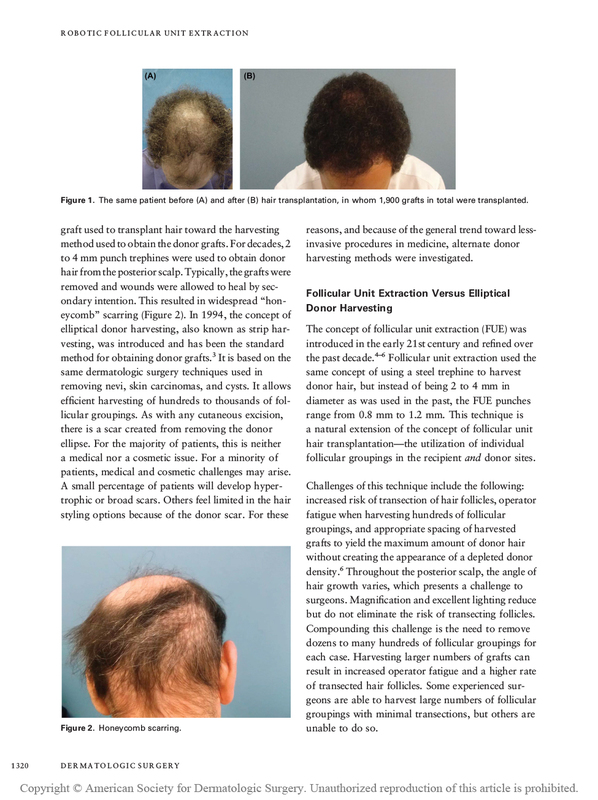 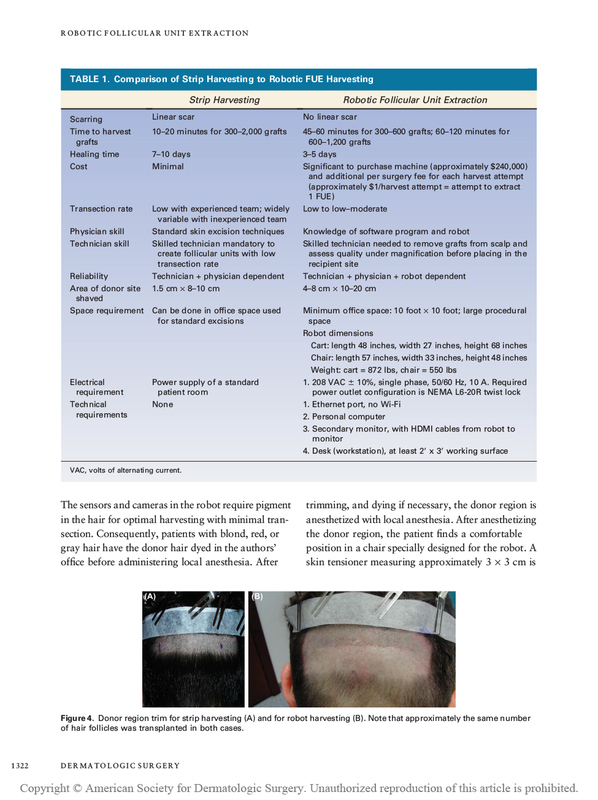 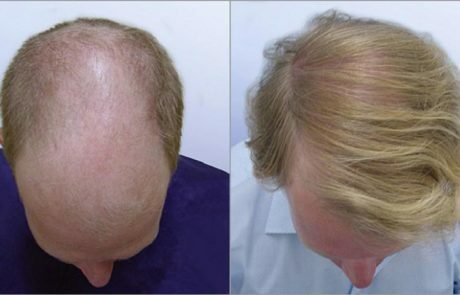 ARTAS Hair StudioTM technology is used to create the patient’s individual hair restoration solution as a 3D model. 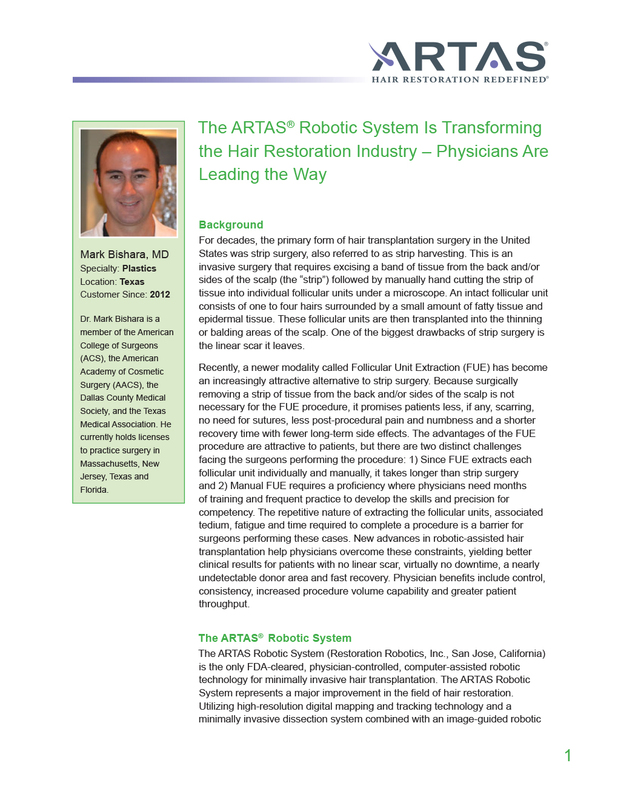 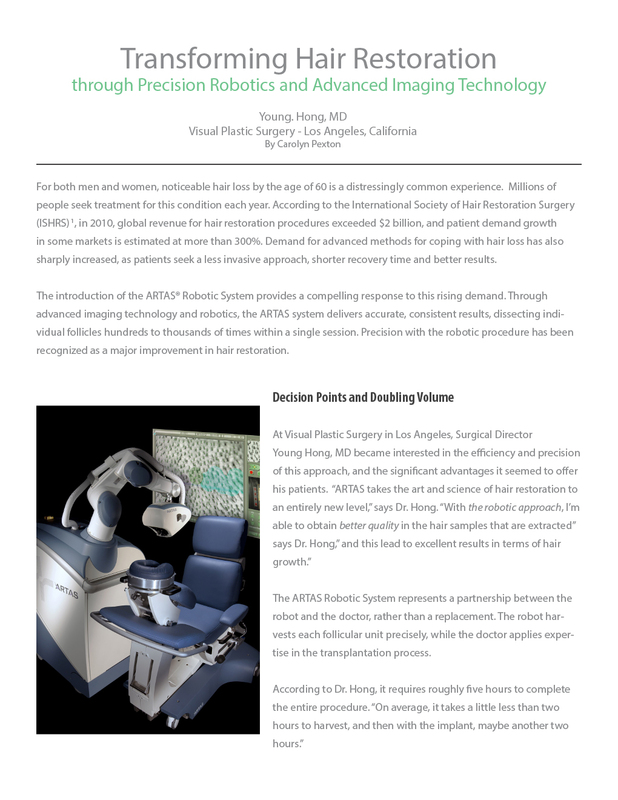 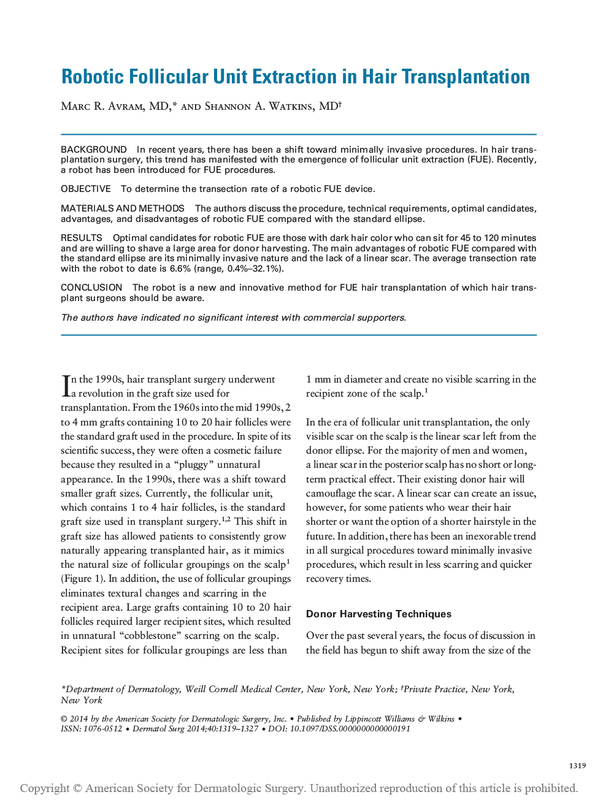 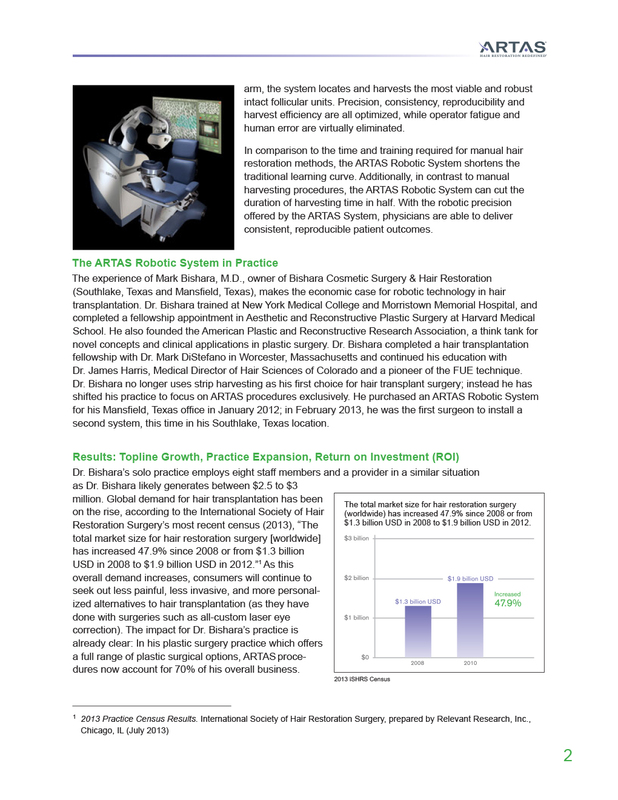 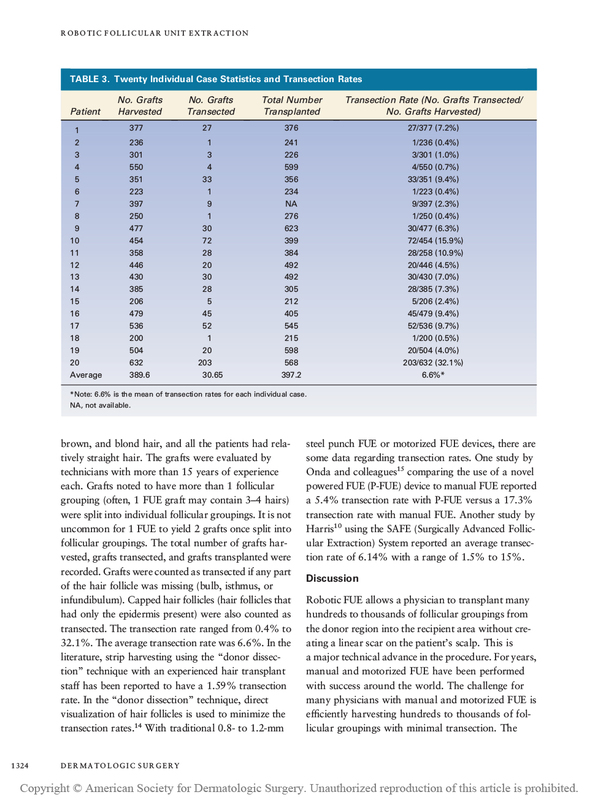 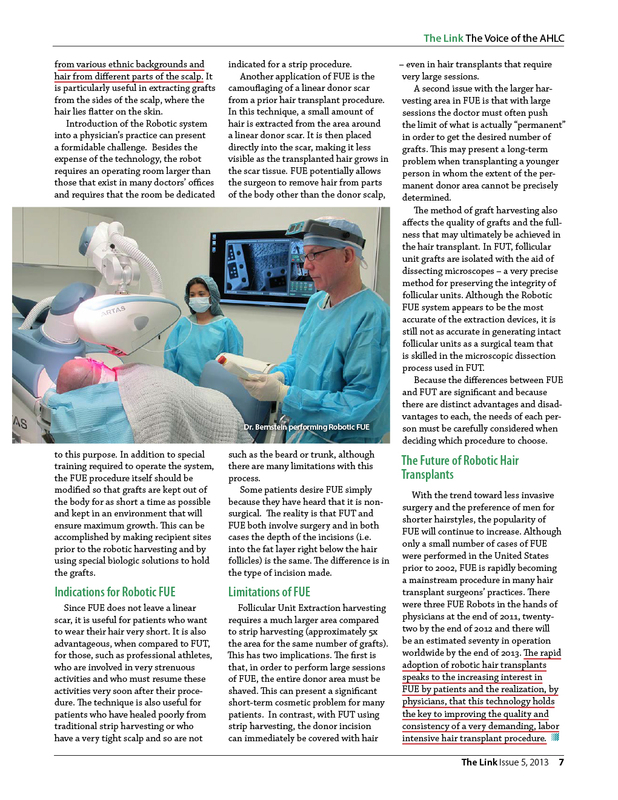 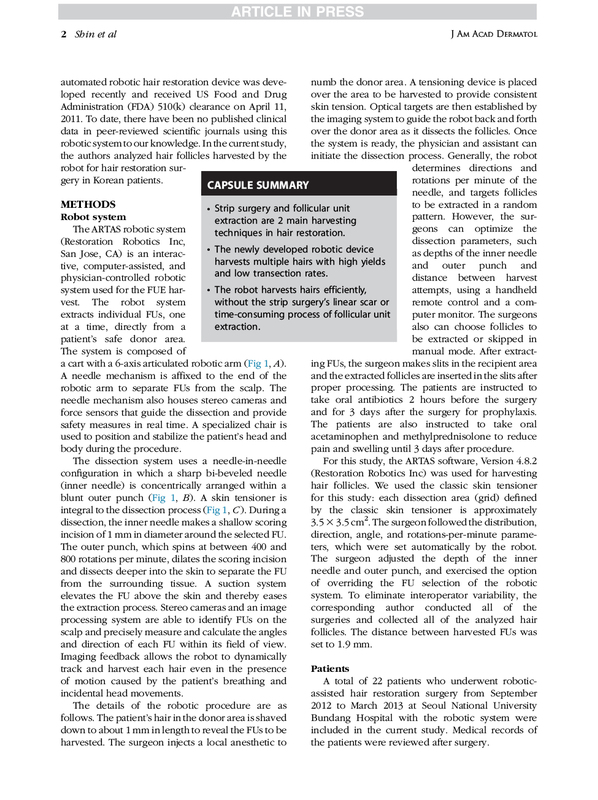 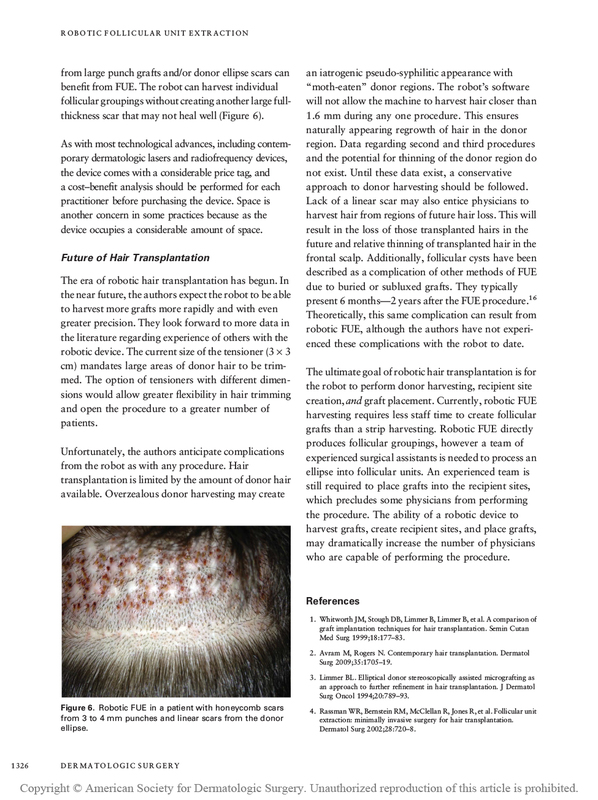 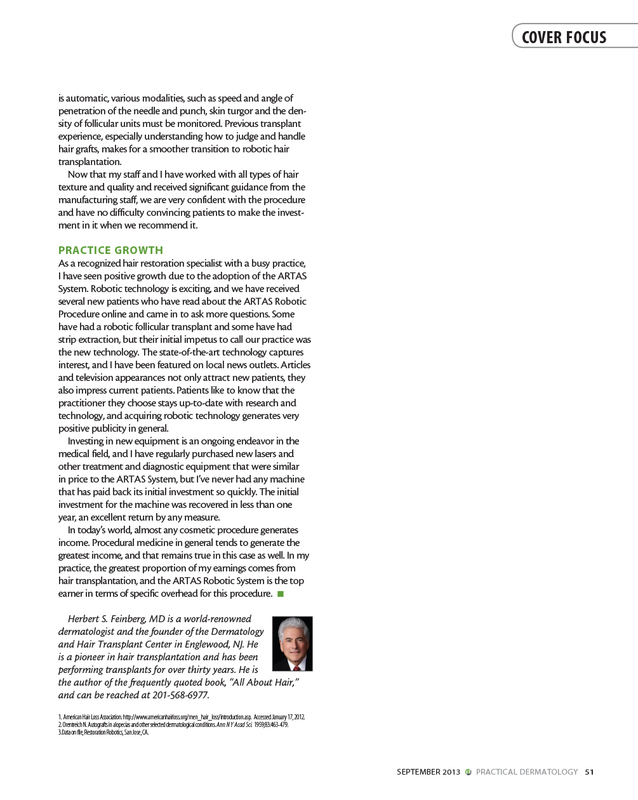 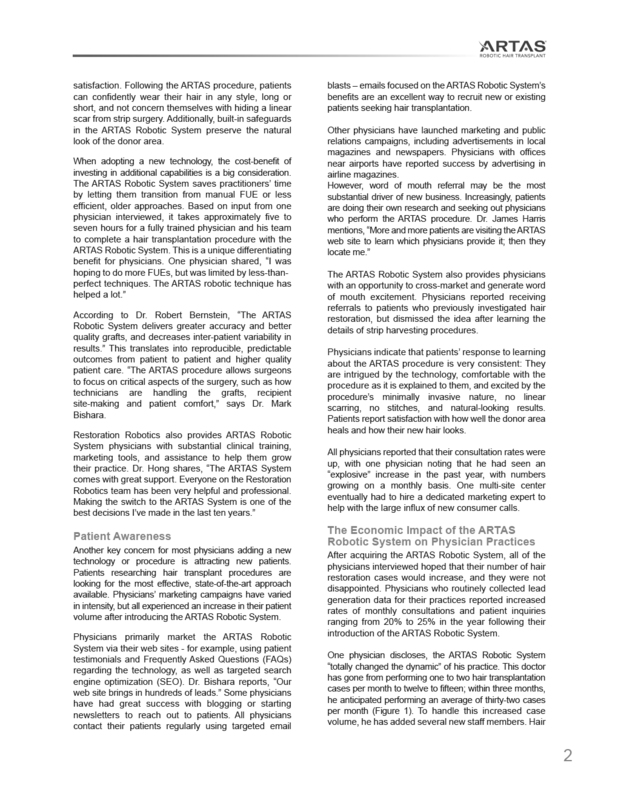 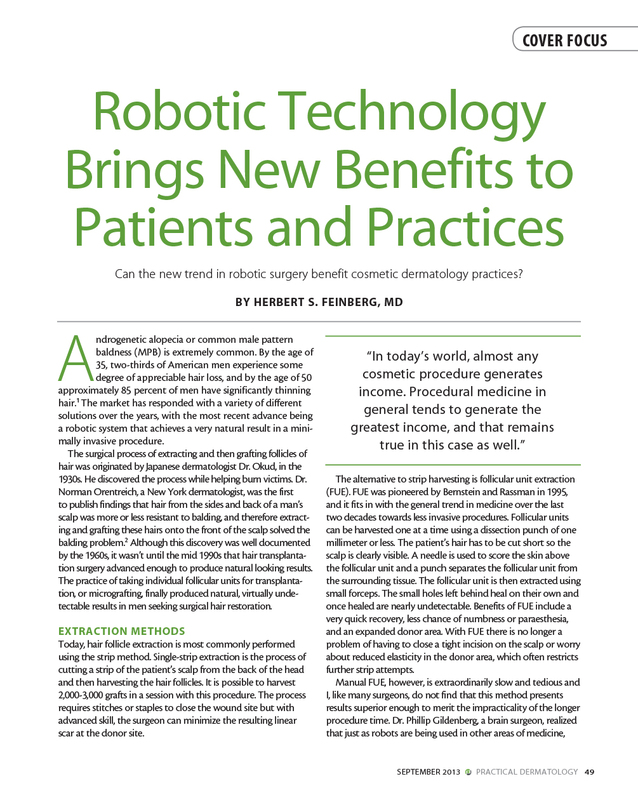 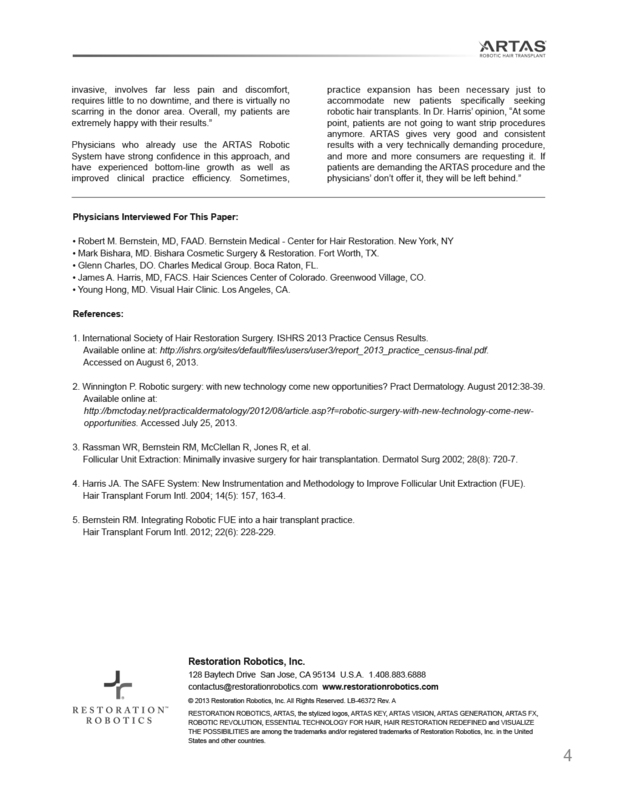 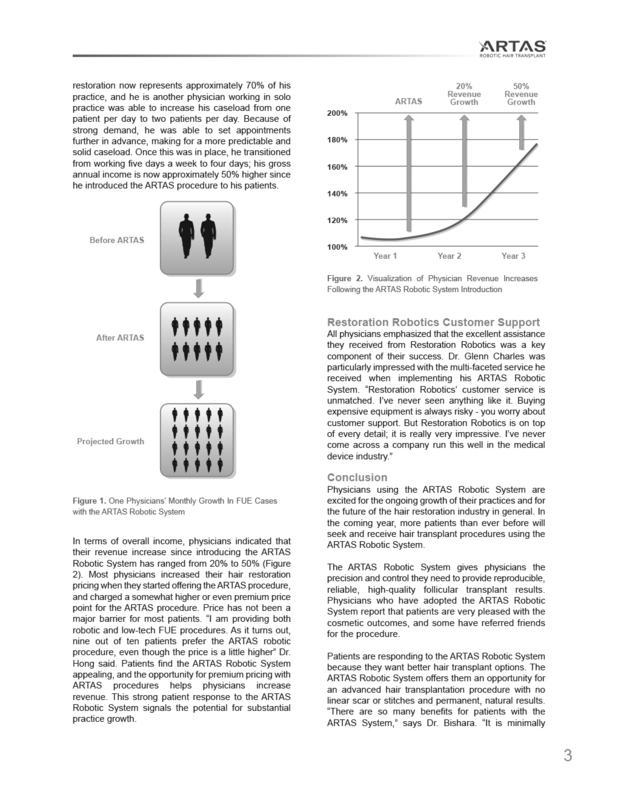 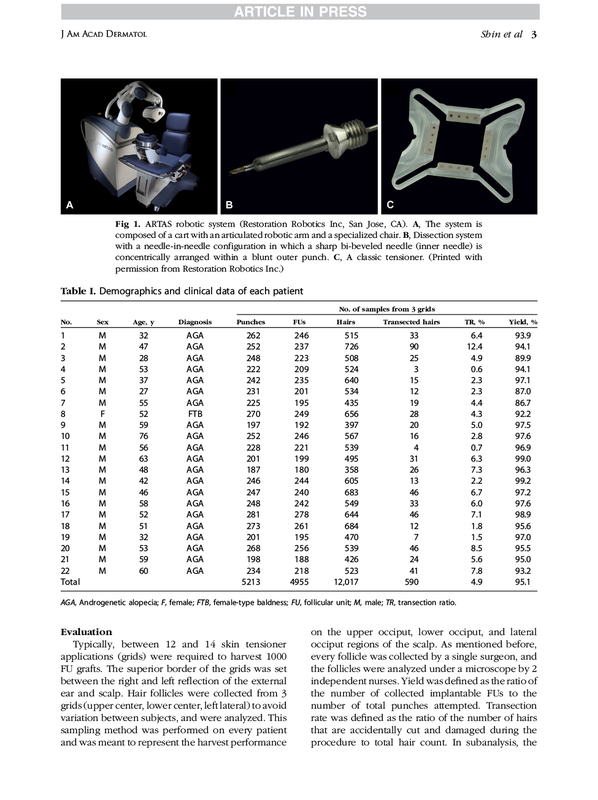 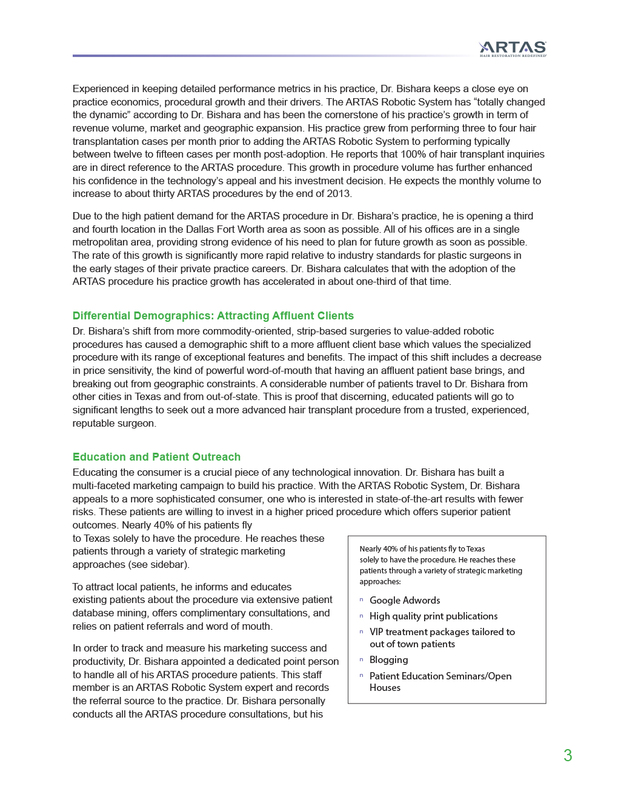 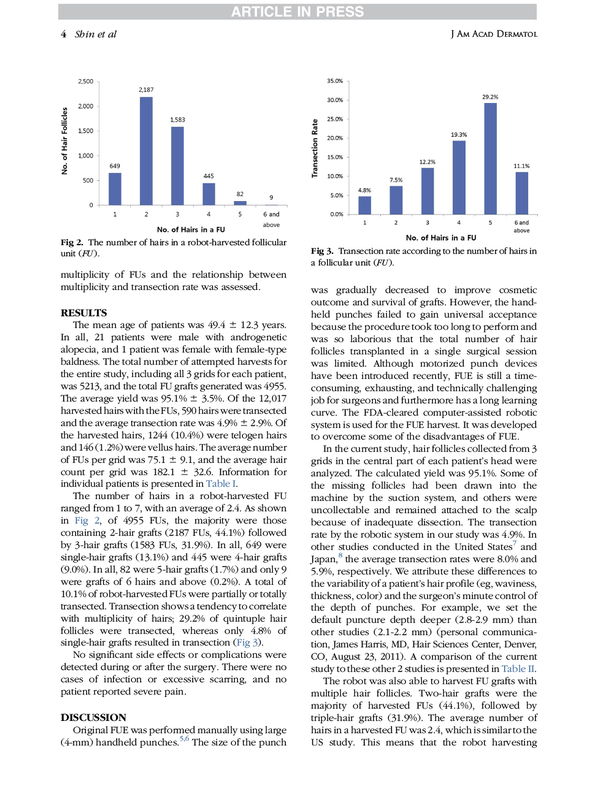 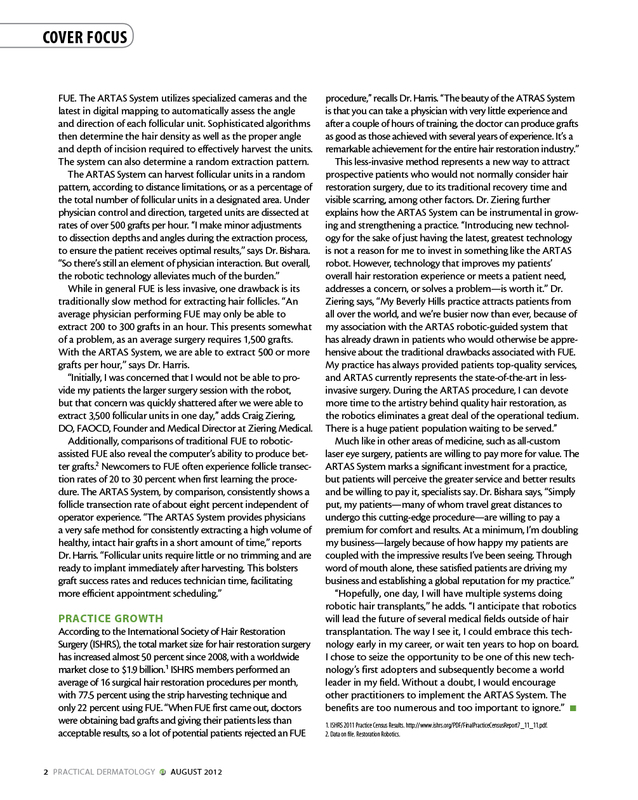 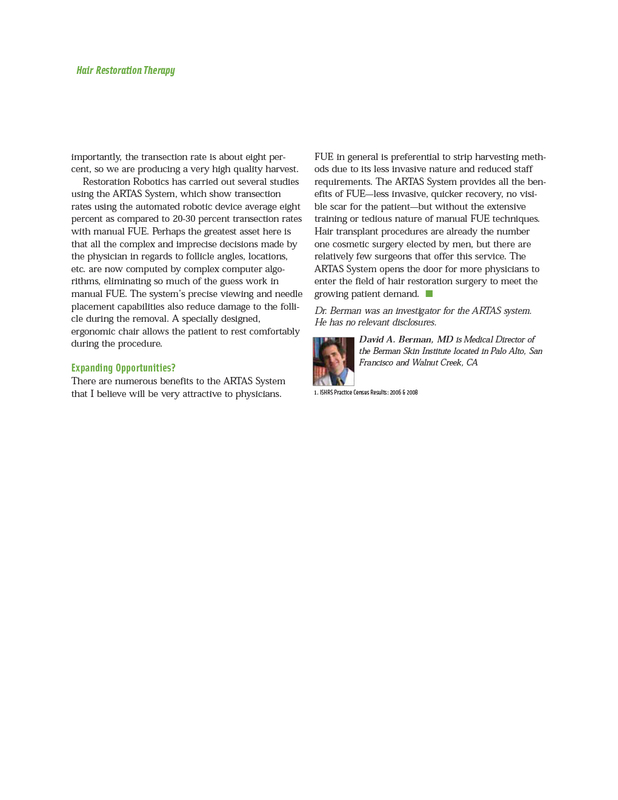 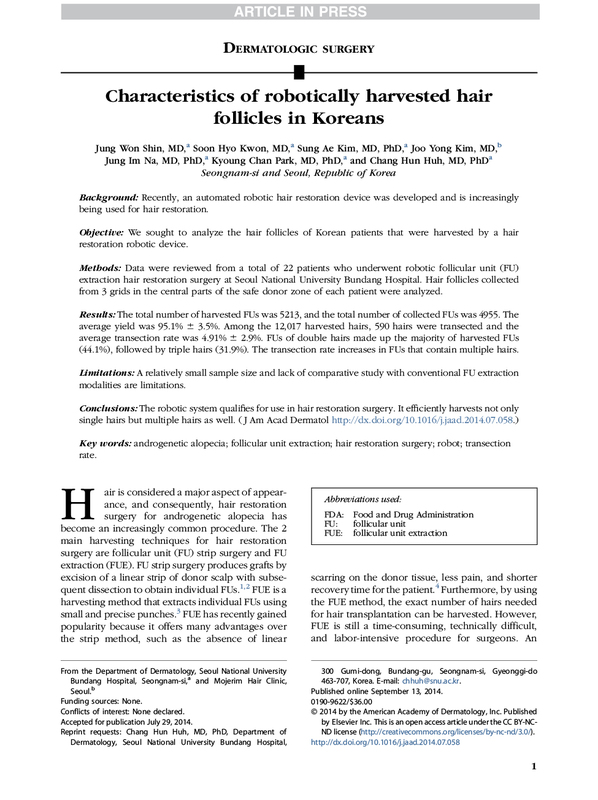 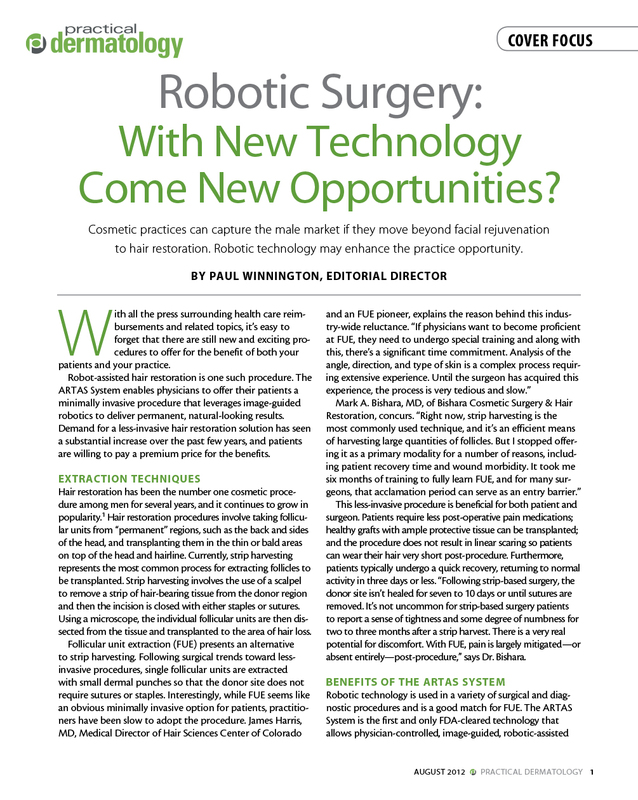 The patient can see a simulated result, and ARTAS calculates the optimal hairline, and the number of grafts required to achieve it. 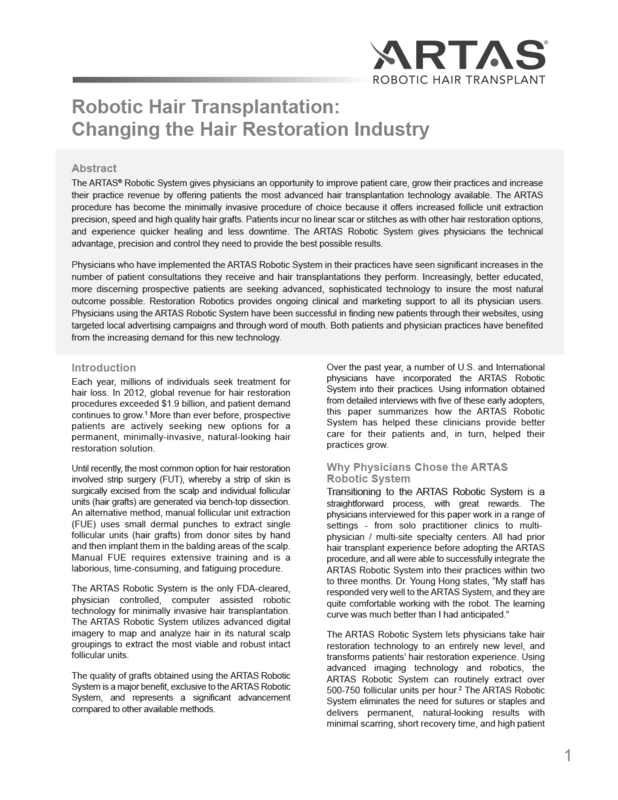 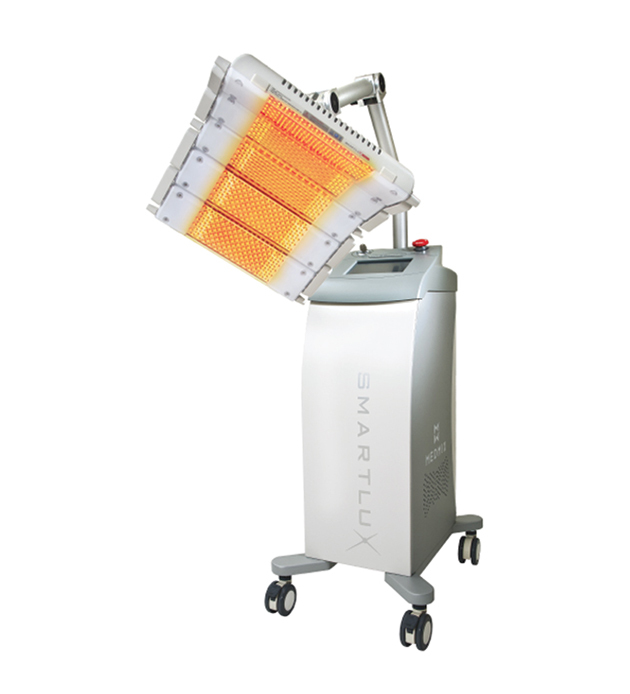 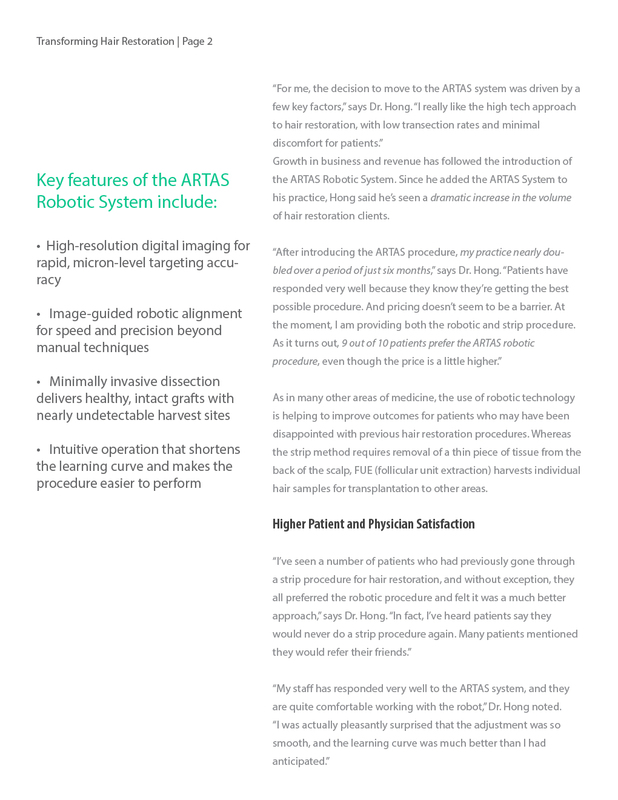 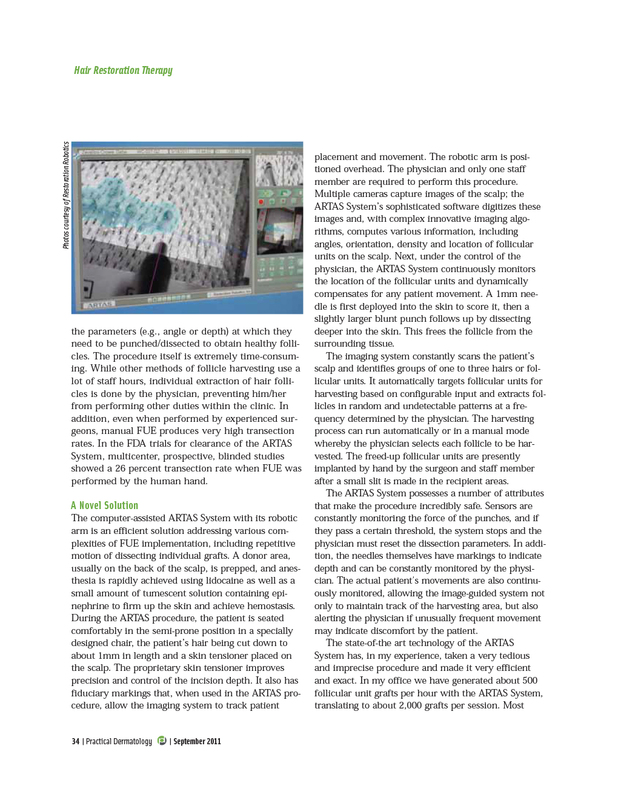 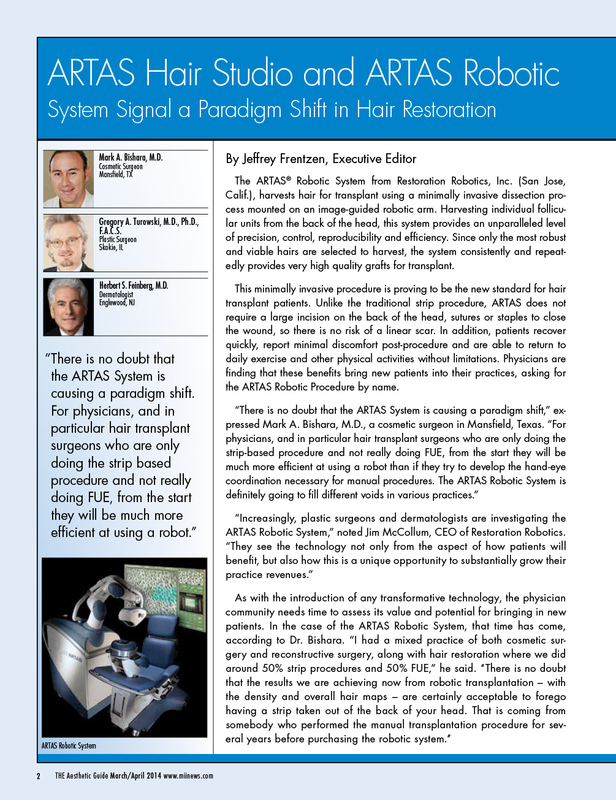 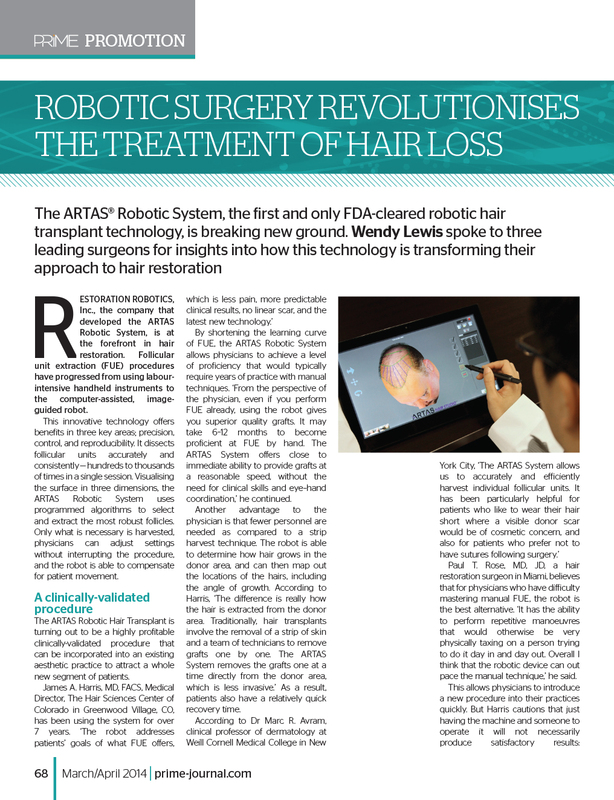 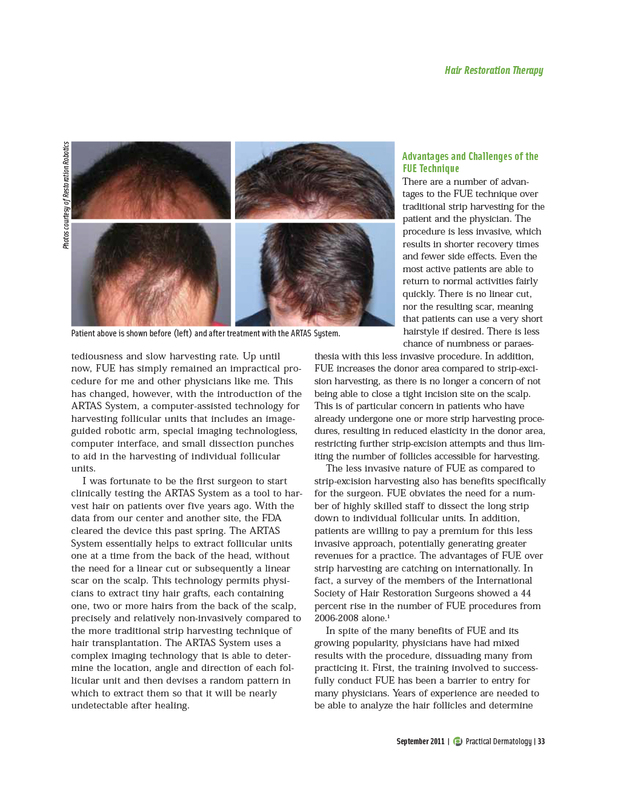 ARTAS HD vision system uses specialised algorithms to identify and select the best hair follicles for harvesting. 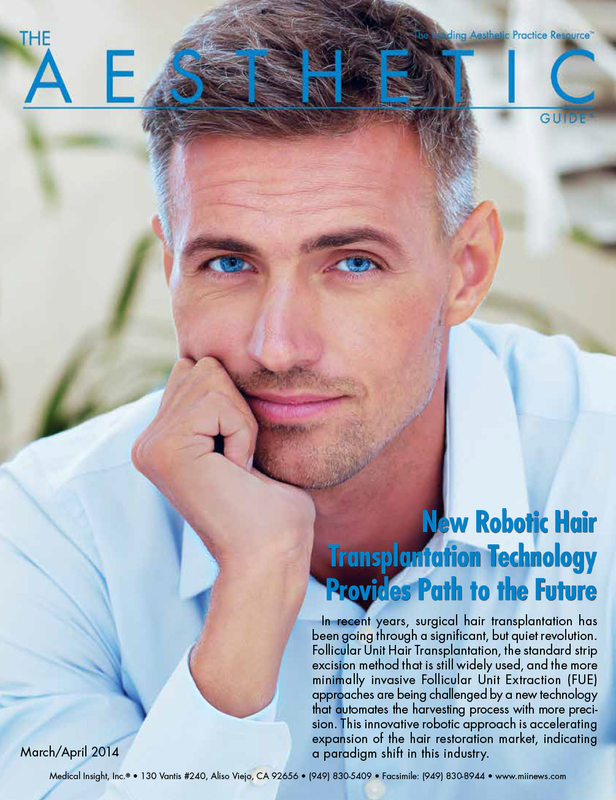 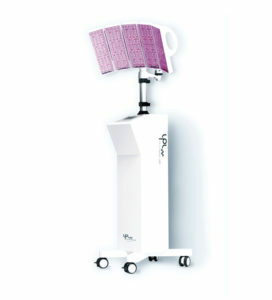 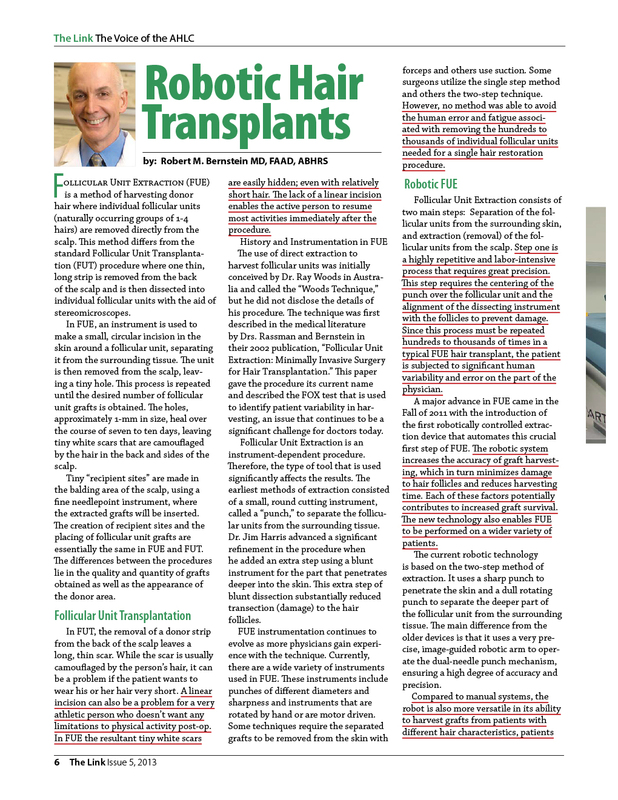 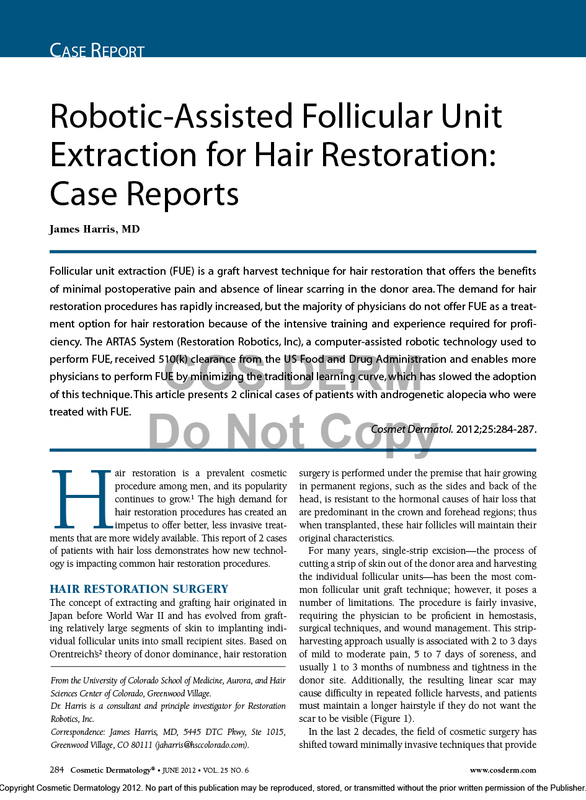 Hair is harvested with robotic precision to preserve the natural look of the donor area. 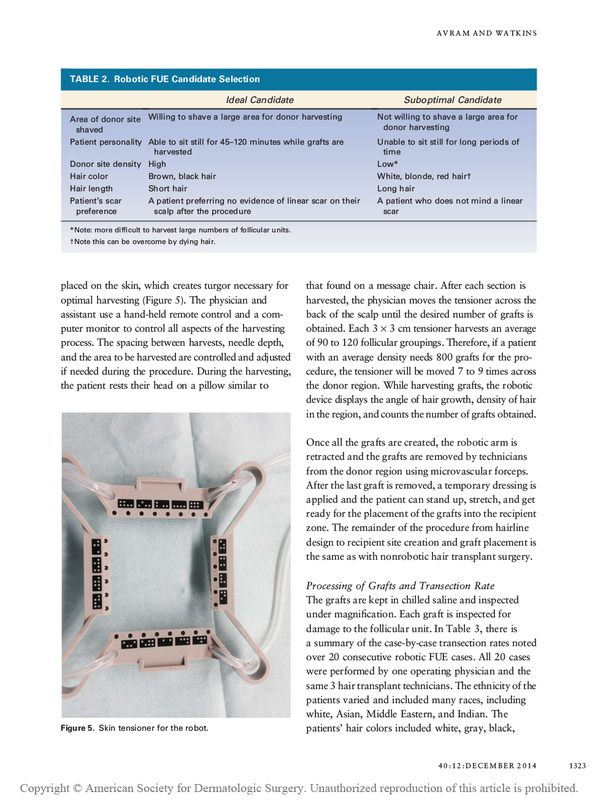 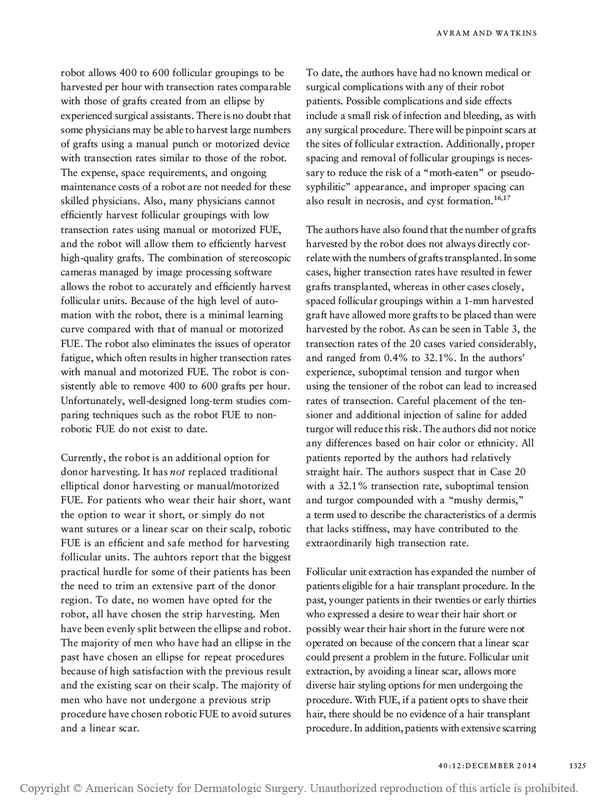 The follicular units are stored awaiting transplantation into the recipient area. 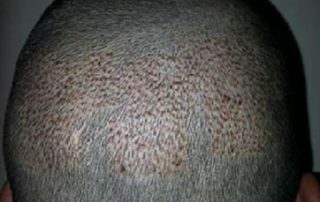 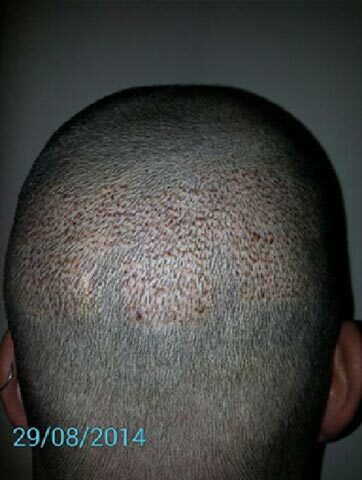 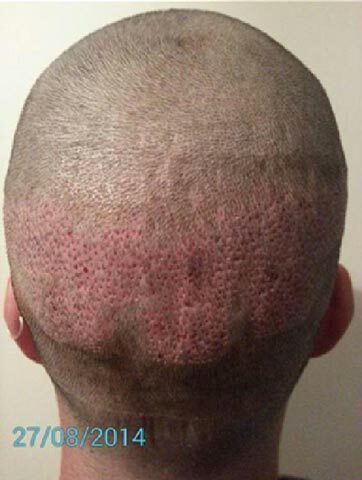 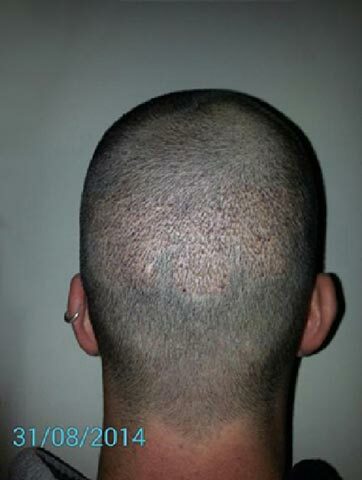 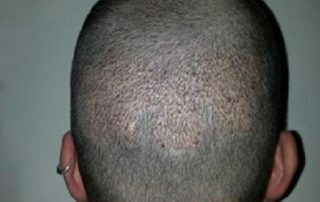 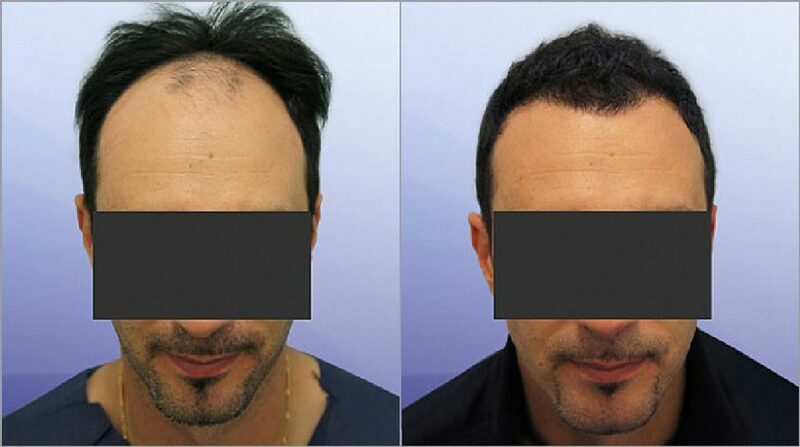 12 days later, the hair follicles are transplanted, following the customised hairline design. 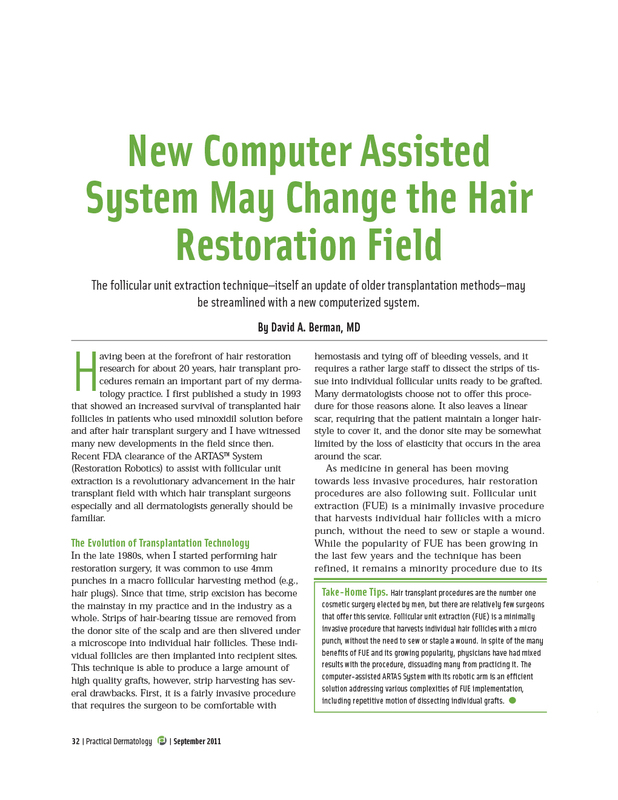 The advanced analysis of the recipient site creates optimal site distribution, avoiding damaging any healthy hair. 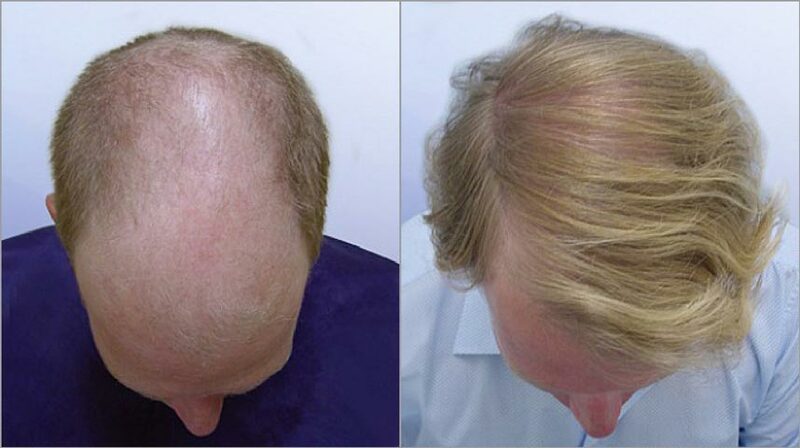 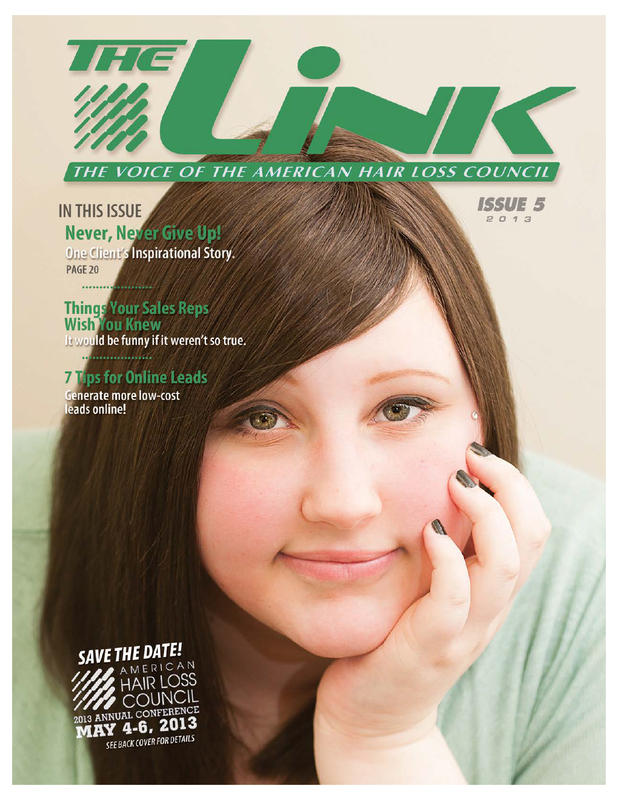 Hair in the donor area grows back to a blending length within a week or so of treatment. 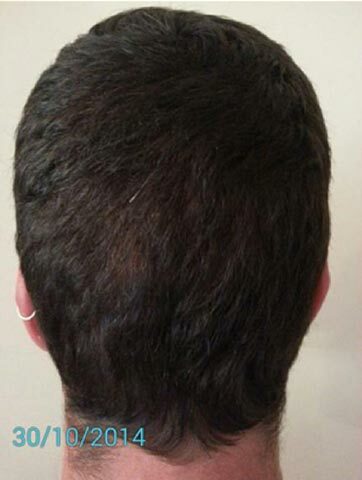 After about three months, the transplanted hair will begin to grow in its new location. 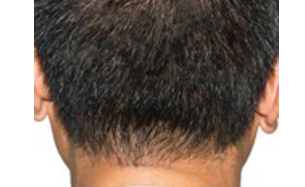 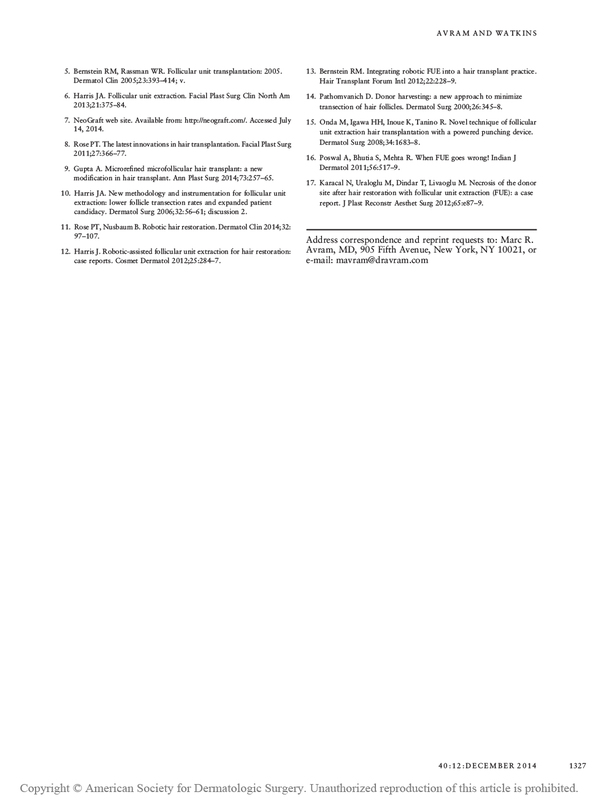 At around 6 months, the patient will notice more significant growth. 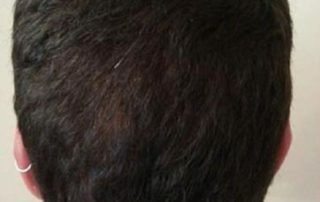 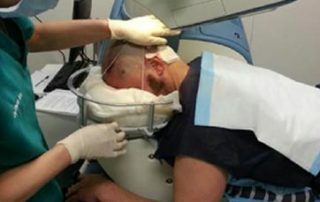 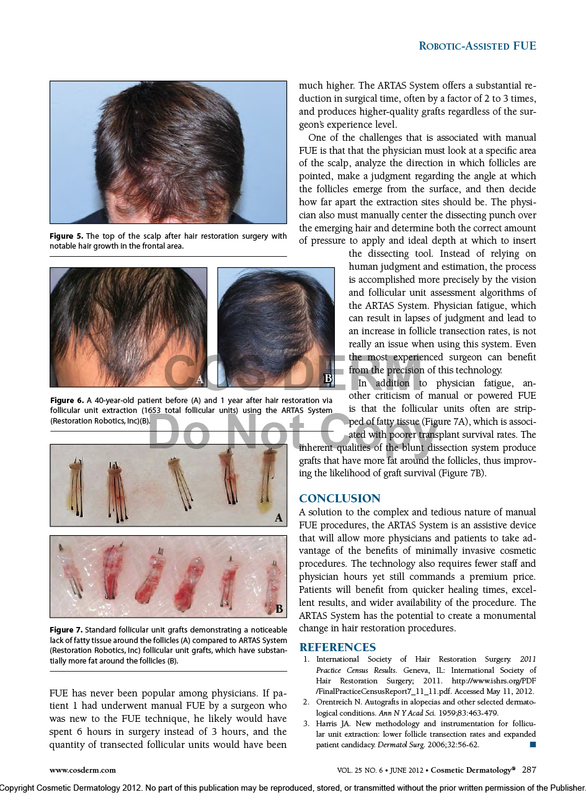 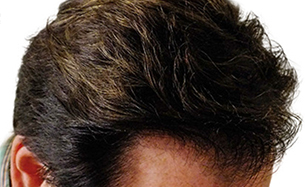 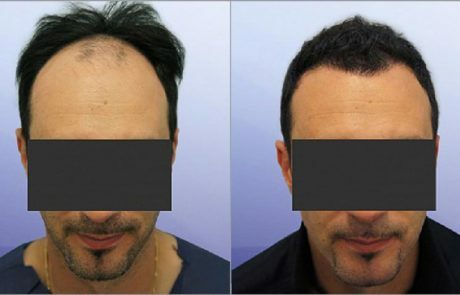 The end result is the most natural yet available from any hair transplantation procedure.